Engraving and extensive 24K Gold work by Tim George. 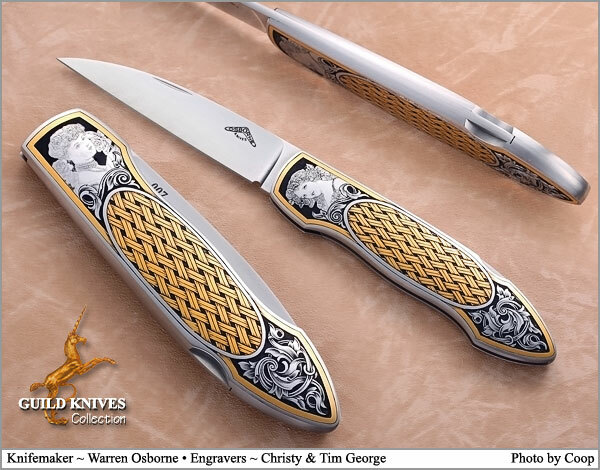 The Bolino engraving of two girls are intricately detailed, and the 24K Gold basket-weave inlays must have taken an immense amount of time for Tim to accomplish so flawlessly. Black enameled fields behind all the engraving adds a quality touch that gives deep dimension to the artistic-ness of this knife.